I was just scanning through body kits when I saw this one prelude with these light covers. See link below. All i can say is wow, that really makes the car look super mean. Does anybody know how i can do that or how i can get a hold of those light covers? Man, I've been looking at these too. They sure do look sick. They are "eyebrows" not headlight covers. The ones pictured are usually done with spray on tint or sometimes with vinyl/window tint. 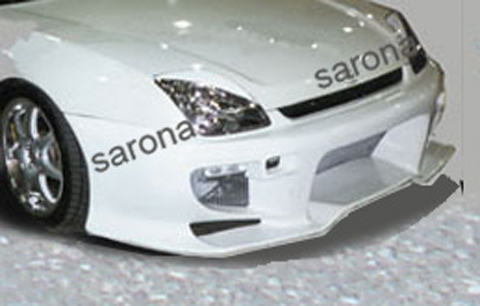 There is only one style of eyelid for our car made by Seibon. But replicas have been produced. The pictured eyelid is not Seibon. Also, there is an attachment you can have welded to your stock METAL hood - this gives the exact same look. But requires alot of welding and painting to be right. You're right, my bad. I forgot the term so I just stuck with what the OP called them. This prelude has to be the meanest lookin SOB I've ever seen. The process they went through to make them seems too difficult for me though, especially the painting portion of it. Yeah, it's mad slick. I wish I could fabricate, period, or I would've made one for myself already. It shall be unlawful for any person to sell, offer for sale or use any device or equipment which tends to change the original design or performance of any head lamps or any other lamps or reflectors required by law to be attached to motor vehicles, trailers or semitrailers unless the equipment or device has been approved by the director of the Department of Public Safety." I apologize if this is off-topic to the Original Poster. Yeah, thats the one you need to weld to the hood - someone sells the kit out there... but like i said, it's alot of work lol. The ones that are painted/tinted on - yes they distort the headlights slightly. But you can be cited for them just as easily as lowering your car/ exhaust/ window tint/ HID's/ oversized rims and/or raised car. They all fall into the same category: modification of a vehicle to change how it operates from stock.